Coconut oil has a great reputation as a healthy, natural, even miraculous substance — even though, as far as we can tell, it never really did anything to earn that reputation. Now a professor is making headlines for calling it “poison” in a lecture in Germany. What do you really need to know about coconut oil? The truth is, it’s an oil. It’s a food. It isn’t going to poison you all on its own, nor is it going to magically melt fat or teleport you to an Instagram-worthy beach. It’s just a thing you eat. There is a small amount of research suggesting it might help weight loss when you use it to replace olive oil in your diet. On the other hand, the American Heart Association likes to remind us that it’s still rich in saturated fatty acids, and they haven’t found evidence that it’s better for us than other foods containing saturated fatty acids (such as butter). Not enough research has been done on coconut oil to suss out whether it’s better or worse for us on balance than other oils, so at this point I wouldn’t buy claims that it’s poison or that it’s a natural miracle. 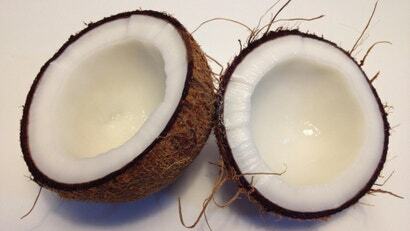 If you’re trying to reduce saturated fat in your diet, you may want to avoid coconut oil. Otherwise, it’s a reasonable replacement for other oils you might use in recipes. But a spoonful of coconut oil on its own isn’t going to do anything amazing for your health, and it will add significant kilojoules to your diet. Maybe that works for you! Maybe you feel full and satisfied when you have a few coconut oil-based keto fat bombs, and if that keeps you from scarfing a box of doughnuts, it may be a worthwhile trade-off. But it isn’t due to any magic in the coconuts; coconut oil is just oil. There is significant information available on the web regarding the use of coconut oil and the treatment of Alzheimer. Just google it and let's put the magic back into the coconut.